Just wanted to share some details on the newest Z-Palettes! You've probably seen or own Z-Palettes in some of the fun prints that are available, but this new limited edition Crocodile Collection actually has a texture to it. 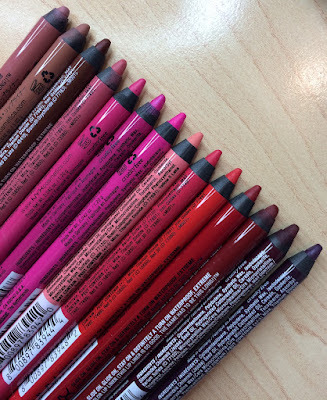 Zena and the Z-Palette team sent me these to try, and of course I love any excuse to rearrange my palettes (it's like a puzzle for makeup addicts!) In case you're not familiar with Z-Palettes, they are empty palettes that you can fill with de-potted products. Your products magnetize into these palettes, and in many cases, it becomes a major space saver when you think about all of the individually packaged products that you're able to combine into a palette. If you want more ideas on what to do with your Z-Palette, check out the video I did earlier this year- What's In My Z-Palettes? The Crocodile Collection comes in two colors- Oak and Burgundy. It feels very durable and there's a little bit of shine to the finish. The other basic elements of the palette are consistent with other Z-Palettes-- there's a large clear window in the top of the palette and they have a strong magnetic closure. They can easily be wiped out with a damp paper towel when they get dirty. There are also two sizes available in this new design- Large ($22) and 4U ($18.50). Here you're seeing the Oak in the large size, and the Burgundy in the 4U size. There's much more information on the Z-palette website as far as examples of how much the various sizes of Z-palettes can hold, but just as an example, my large palette is holding 8 MAC blushes (let me know if you'd like more details on those! ), and my 4U size just has some random products from Benefit and Too Faced that I've depotted from larger palettes. I have another 4U that holds 15 MAC eyeshadows- it's a great size. Z-Palettes also come with little packets of round and square metal stickers. Certain products (MAC, for example), need these stuck on the bottom so they'll adhere to the Z-palette. You'll find that not all products need one of these, but I always save my extras. Tyler, my dad, my brother and I took part in our yearly tradition of going to a Rams football game together! We stayed the night in St. Louis and had a great time. Plus the Rams won! The snow is starting to melt. Melting snow and slush is not cute! Great post Emily! I've been meaning to try the Z-Palette for awhile now and haven't gotten around to splurging to buy (it is pretty pricey after all). Love the new designs they have! OMG Emily! you were in my neck of the woods!! I wouldve love to meet you!!! and yah yah the rams won... lol! 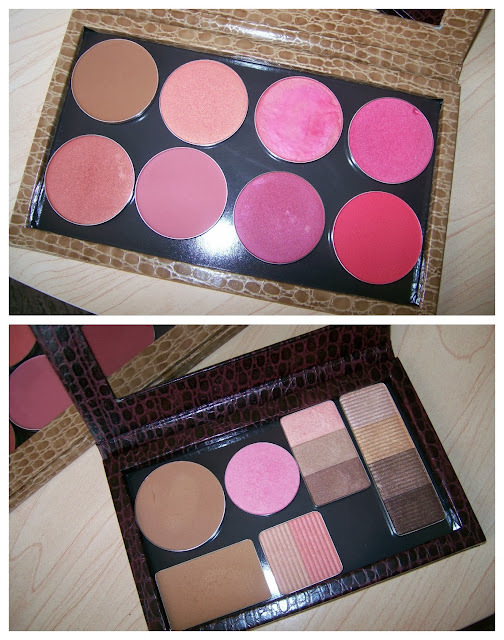 I would love to hear what MAC blushes you have in the large Z Palette- they look gorgeous! Rams didn't just win - they beat the SAINTS wooohoooo!! when are you doing your best holiday palette video ? I have always wanted to try a Z palette they look very nice. Thanks Emily! The new alligator-like material is really cool. 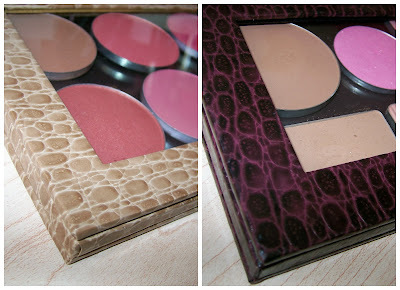 I own 2 Z Palettes in the dome size, and I really love them. 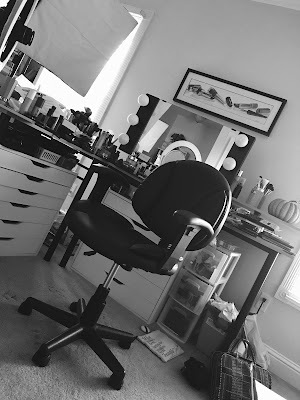 They've made my makeup area organized and clutter free. Depotting was actually really easy. I was just curious if you or any of your readers have had trouble at MAC stores trying to do a back2mac with depotted pots? I had about 20 various depotted pots, and they wouldn't take any, because they wanted the pans with them as well. I was incredibly pissed. Does anyone have any tips or is this the new policy for MAC? I've seen mixed reviews online about this. Thanks! I don't have any z-palettes but one day I'm going to break down and get some! And some makeup geek shadows! I think that's going to be my next "splurge." That pattern is so cute though! Emily! I live in St. Louis and would love love LOVE to meet you sometime! Will you ever do a meet up there? Have you ever seen the palettes from the Etsy shop AnotherSoul? In my opinion, they are a better quality and sturdier than Z-paletts. Additionally, they come in a ton of different colors, patterns, and styles. I want one!!! I need to get on Makeup Geek and order some eyeshadows to fill one. I think I will put that on my list for this week. Hi! I used a picture (link to this post) for a post in my blog (title "Shopping vario e terapeutico + random beautynews"). If you want, I'll remove it. Thank you. Nice aritcle, Happy Raksha Bandhan Images. Very Nice Article. Thanks for Sharing this information. i see a lot of blog but this one is different form others, good effort admin, keep it up. There is nothing on this earth more to be prized than true friendship. So enjoy the beautiful collection of Sad Dosti Shayari in Hindi. So nice collection. Thanks for sharing this post . Happy Diwali Images Wishing a great deal of entertainment to cheer your times in this joyous season. Happy Diwali! Diwali festival is time when families plans holidays and spend a good time bonding with each other since it is really a wonderful time through out year to enjoy at Diwali holidays. People visit distinct destinations at Diwali vacation from their hometown to relatives to enjoy & observe this particular holiday season.